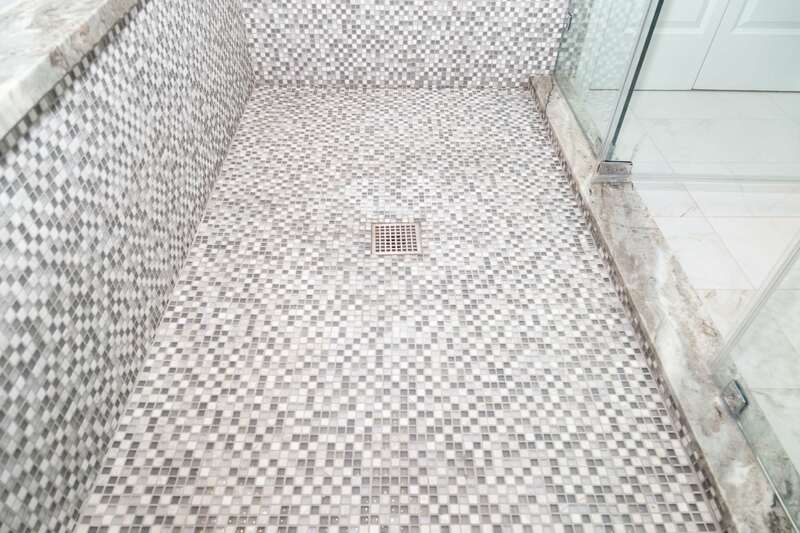 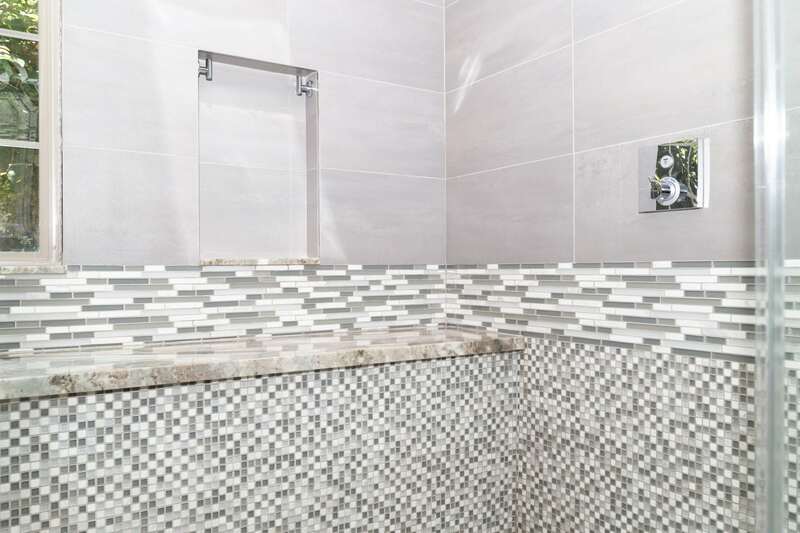 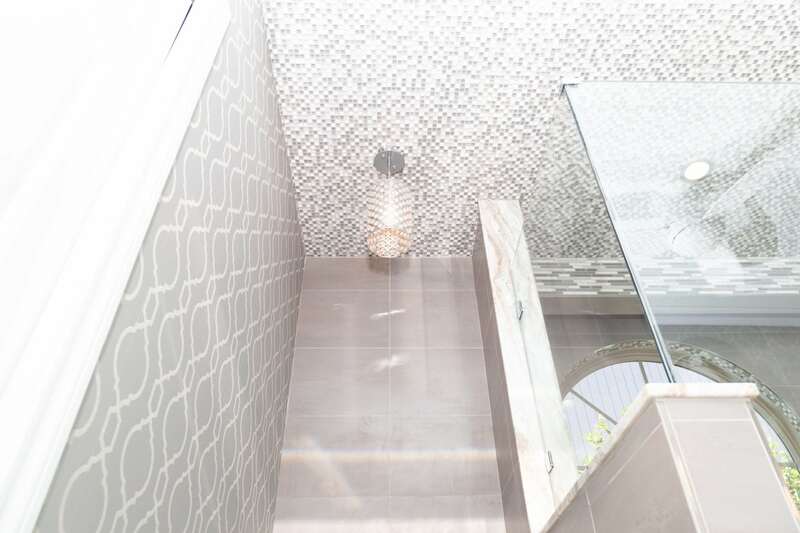 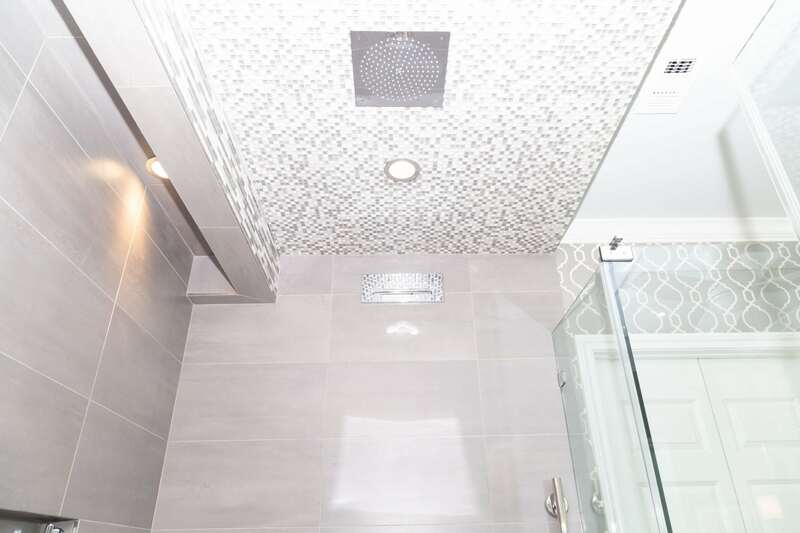 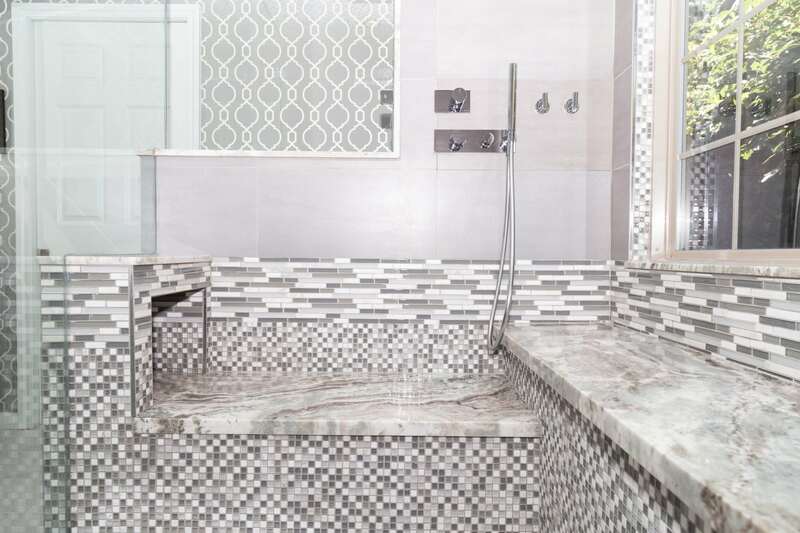 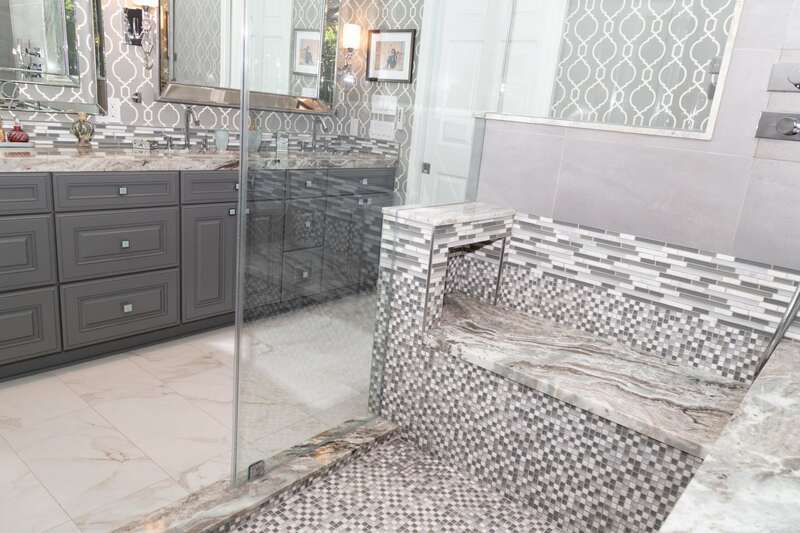 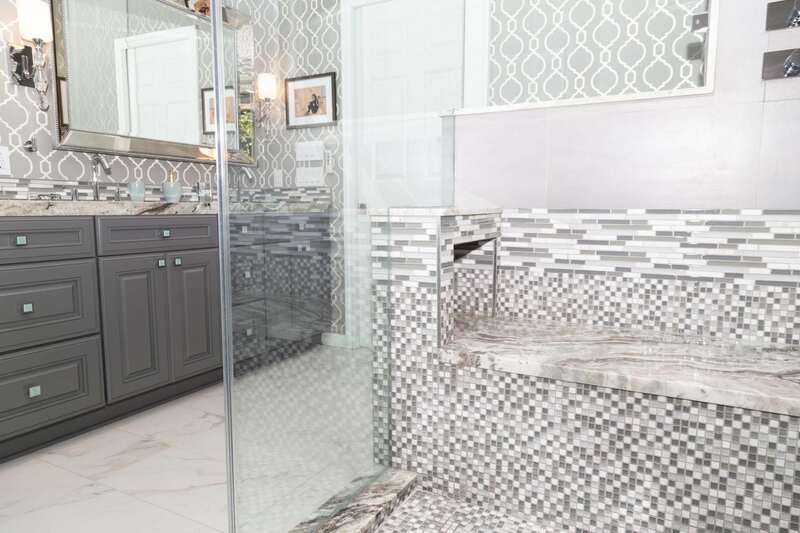 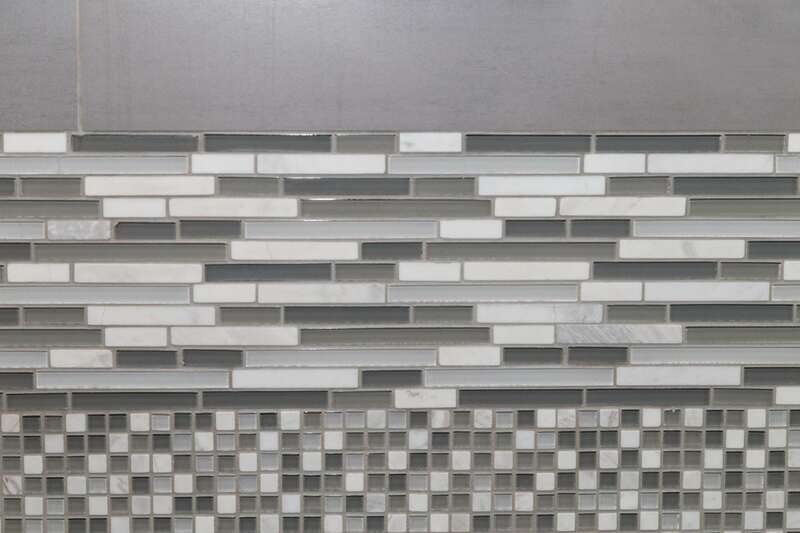 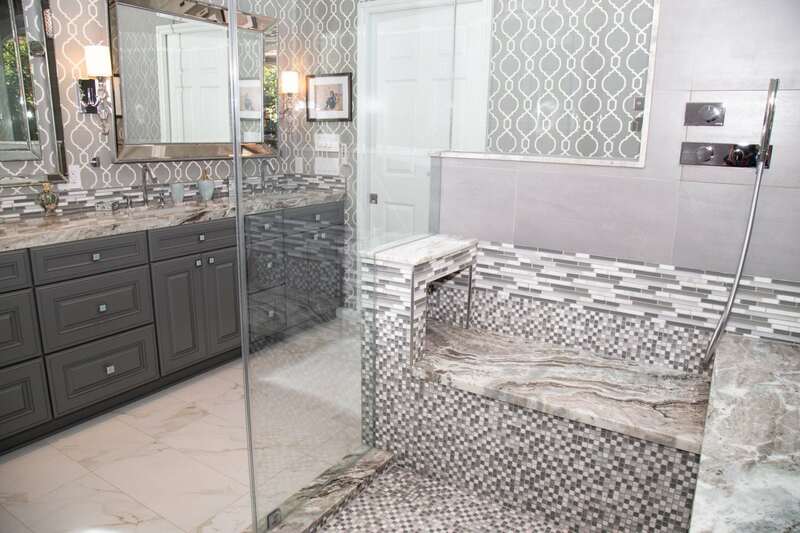 Contemporary Master Bathroom Remodeling | Division 9 Inc.
One of the top factors that can influence the value of a property is the Master Bathroom. 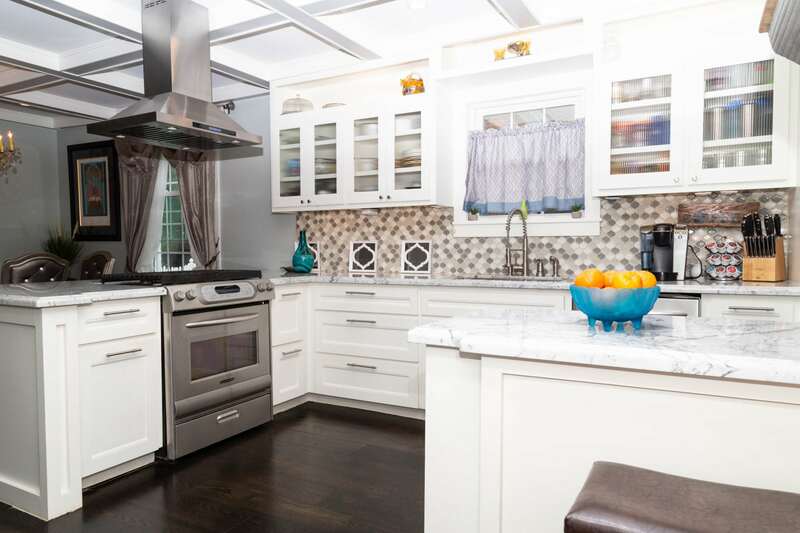 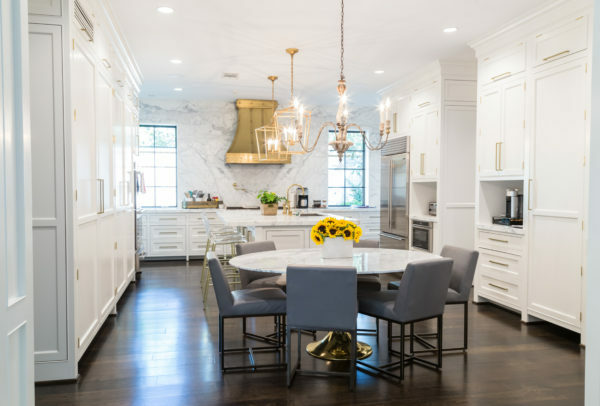 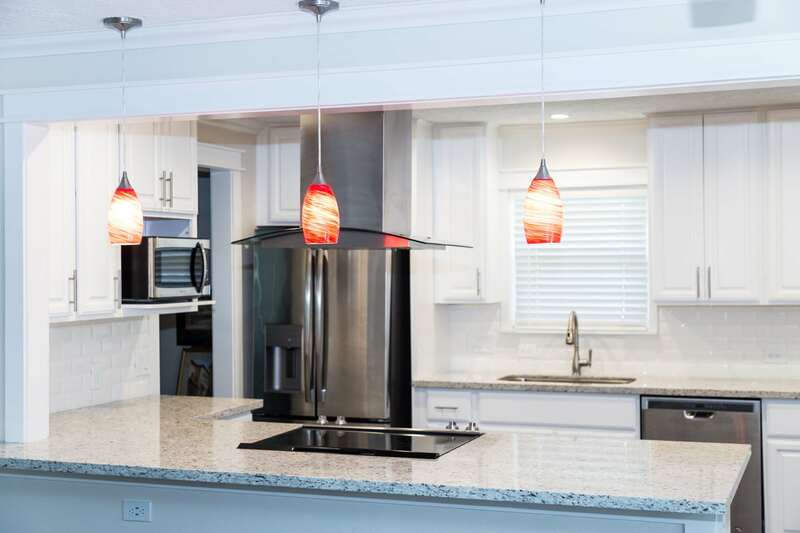 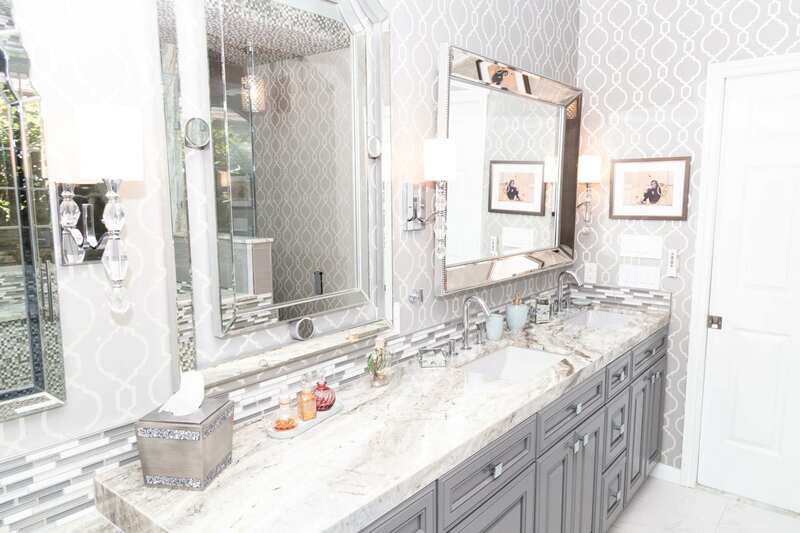 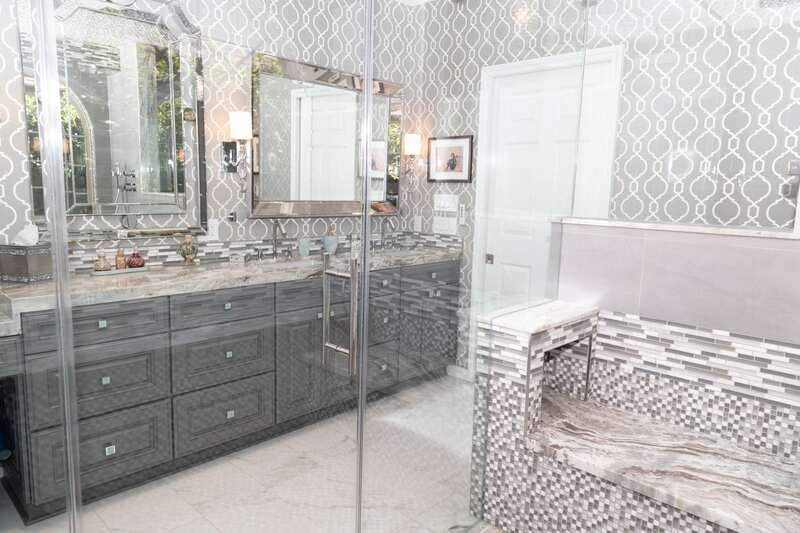 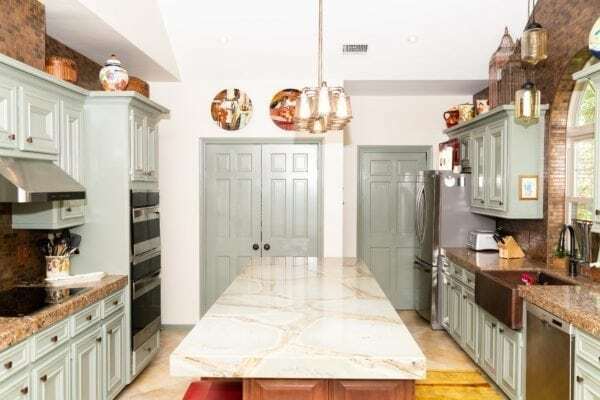 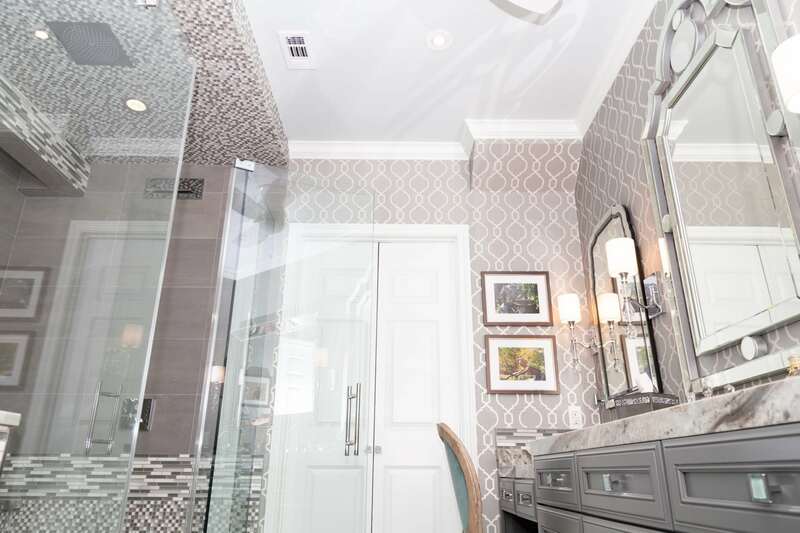 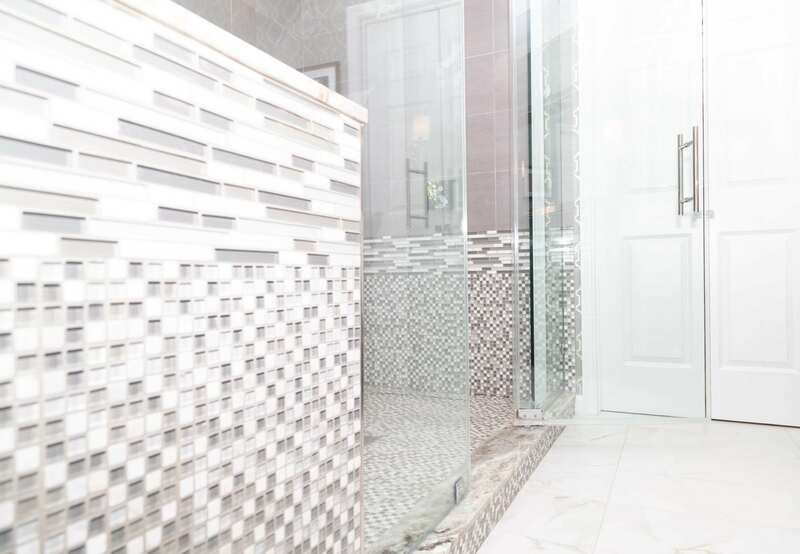 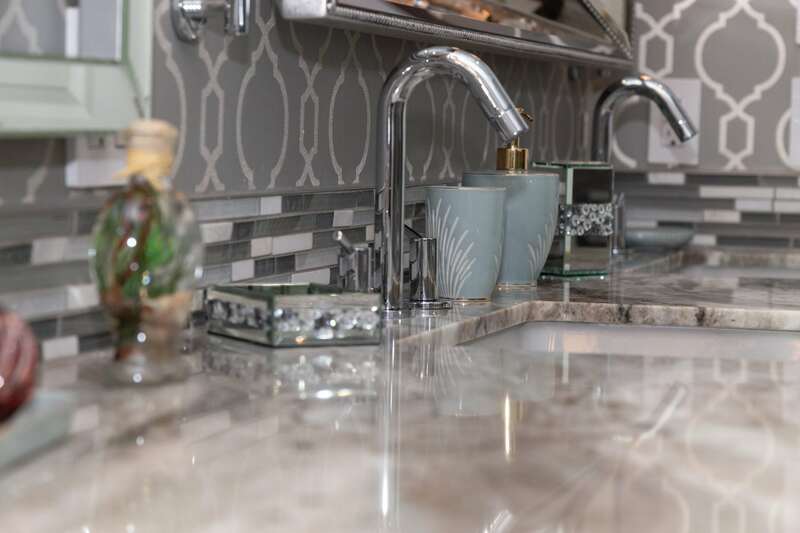 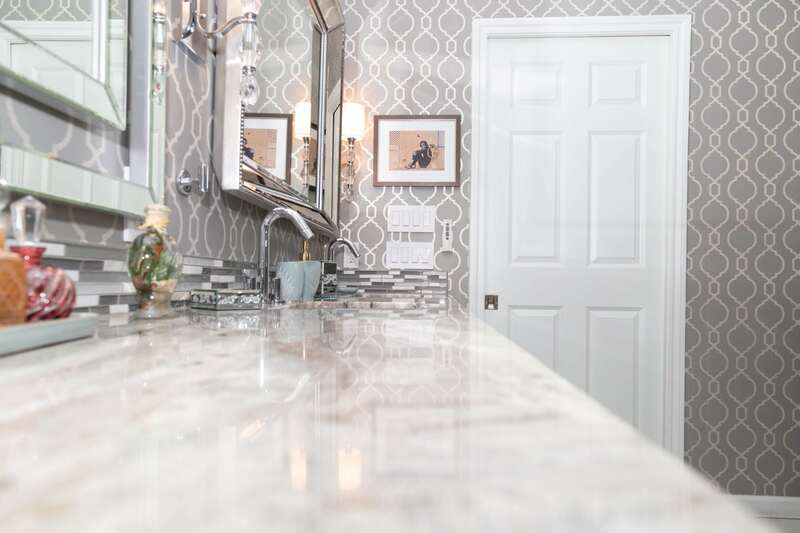 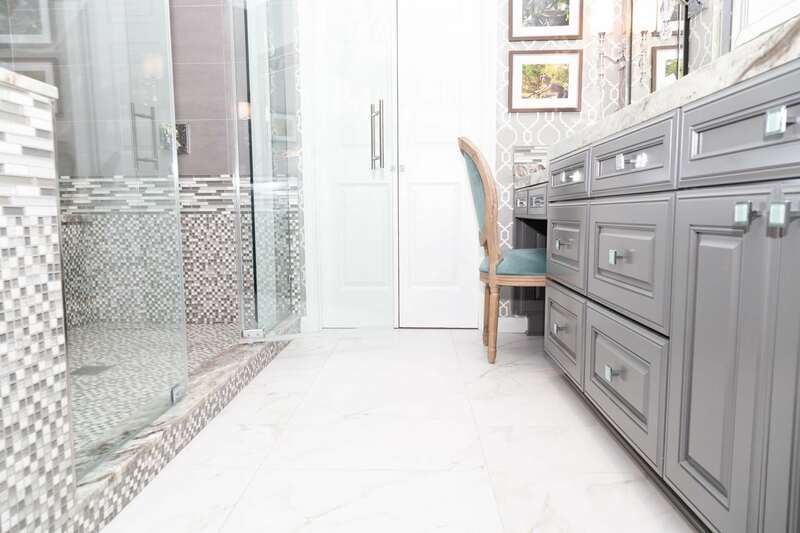 During the complete makeover on this project, we proceeded with the complete demolition of the existing master bathroom, including floors, vanity, plumbing, lighting fixtures, toitel and tub. 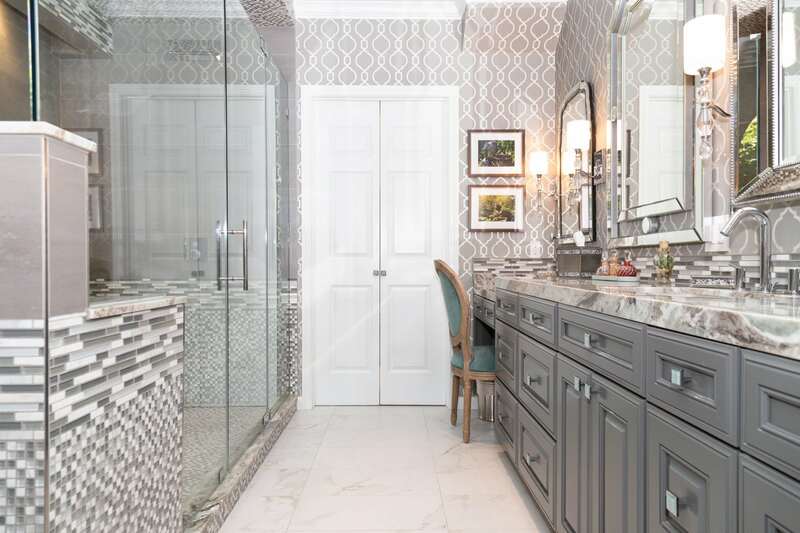 In collaboration with the prestigious designer, Roberto Lugo, the D9 team worked on the layout for the Master Bathroom. 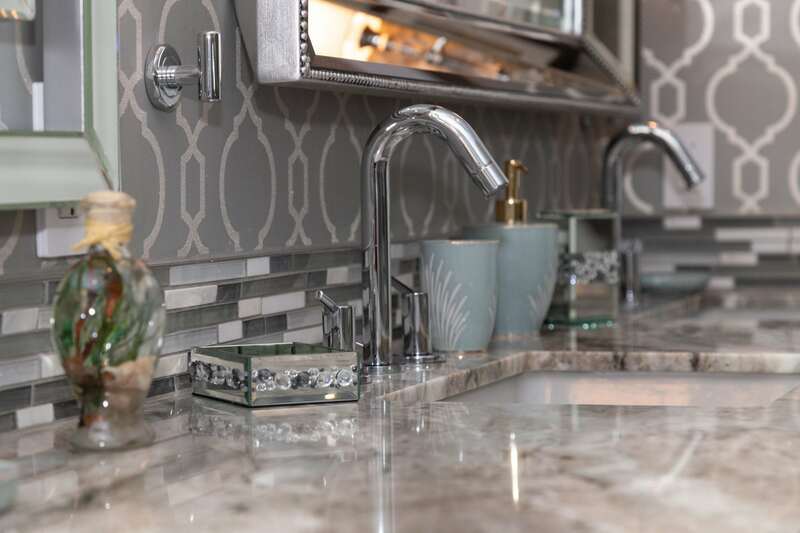 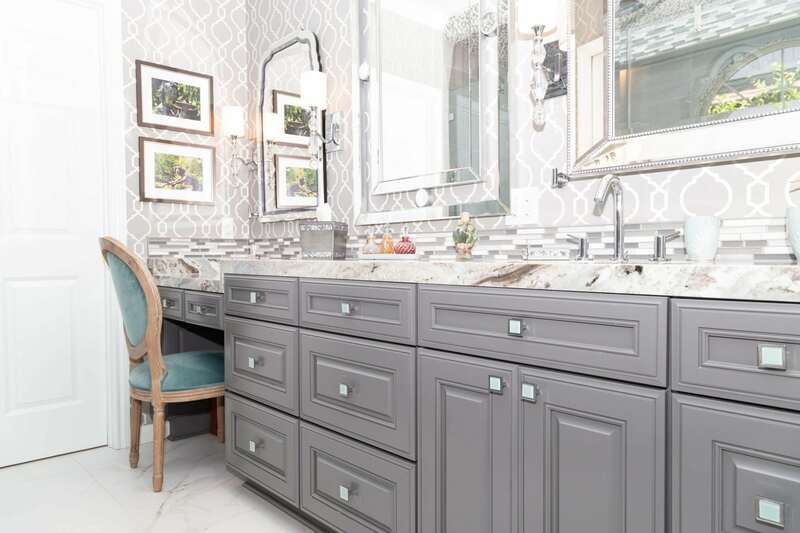 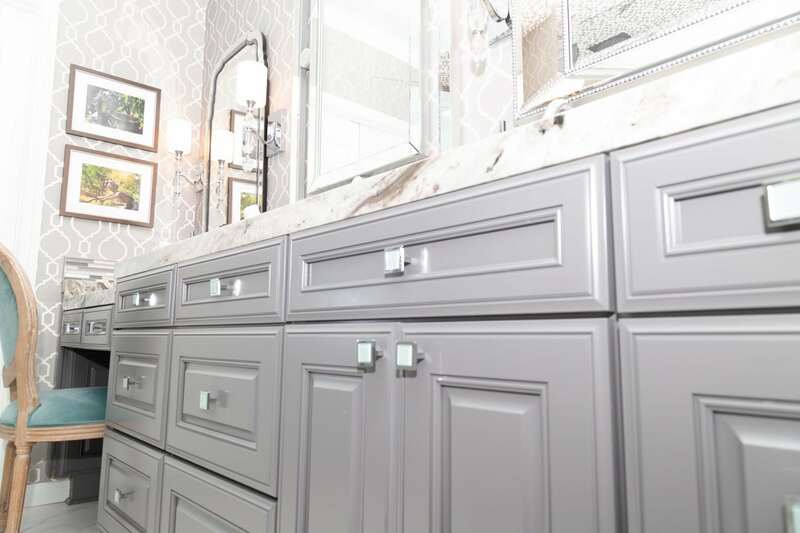 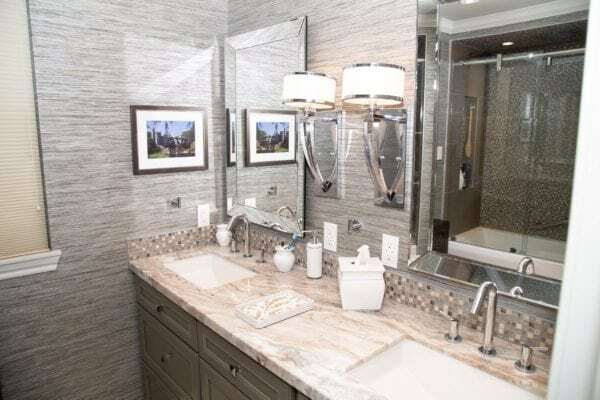 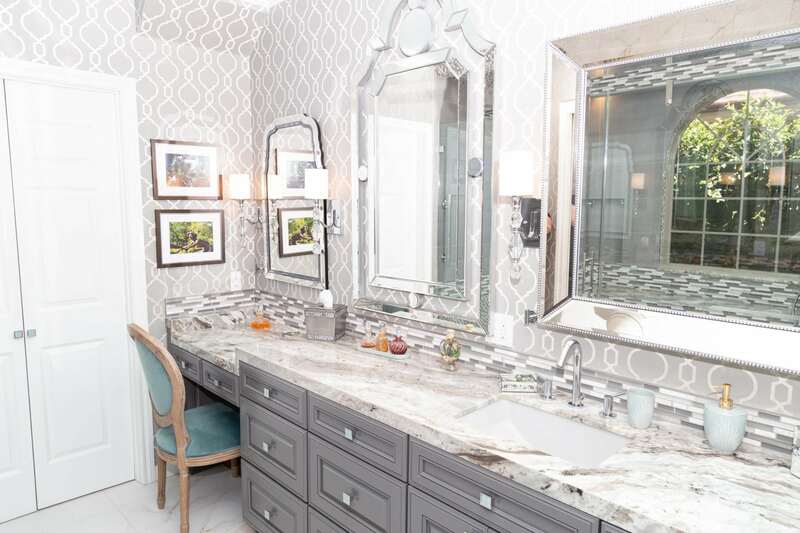 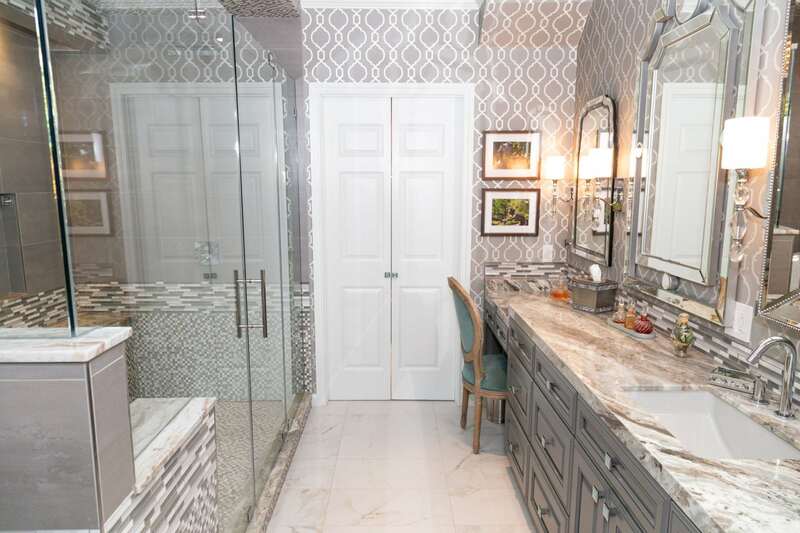 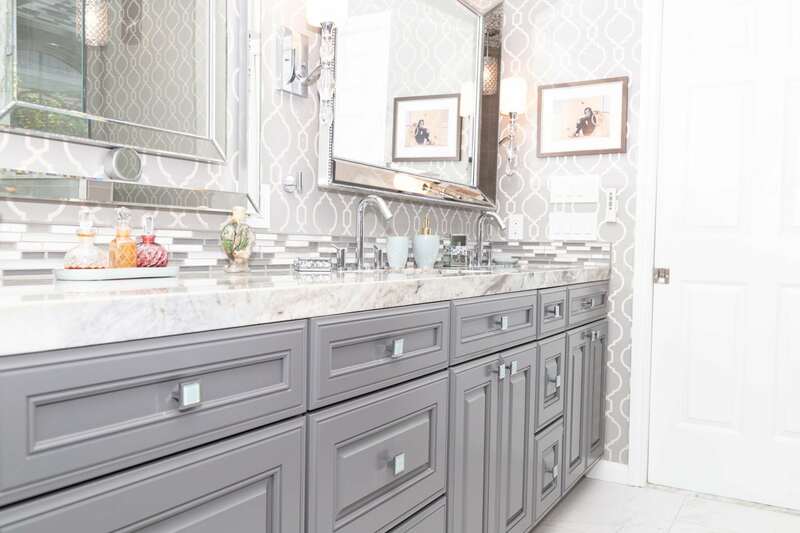 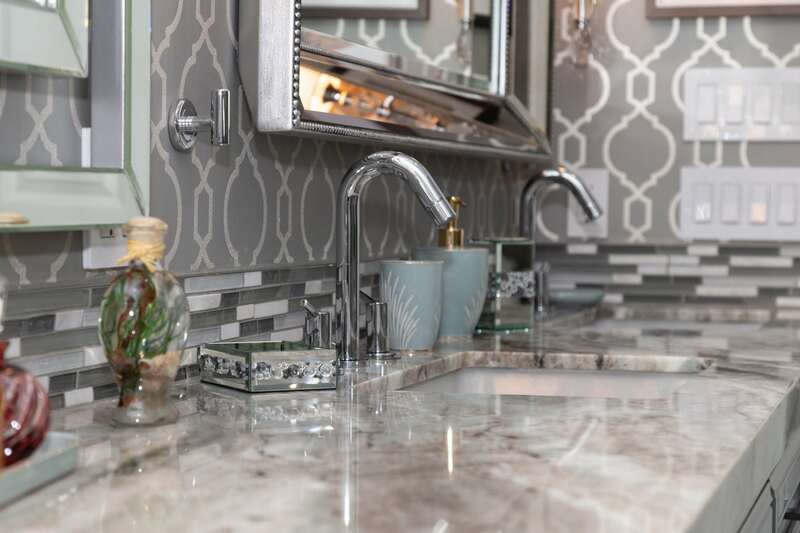 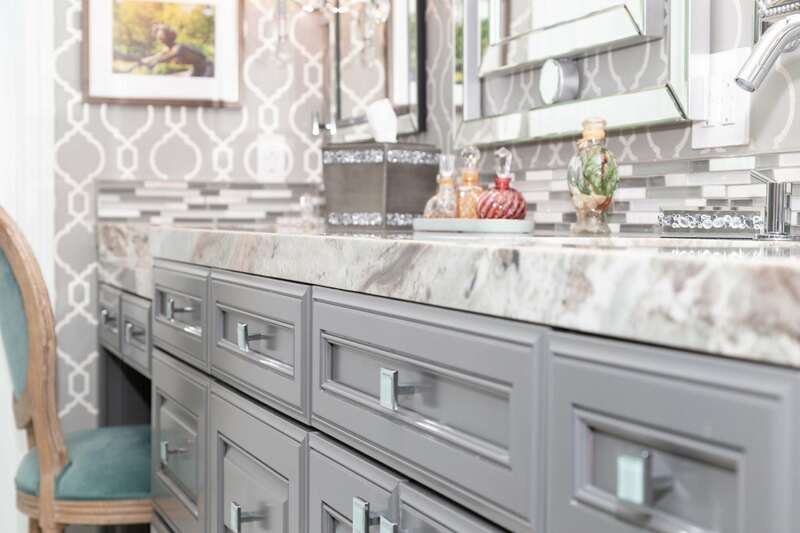 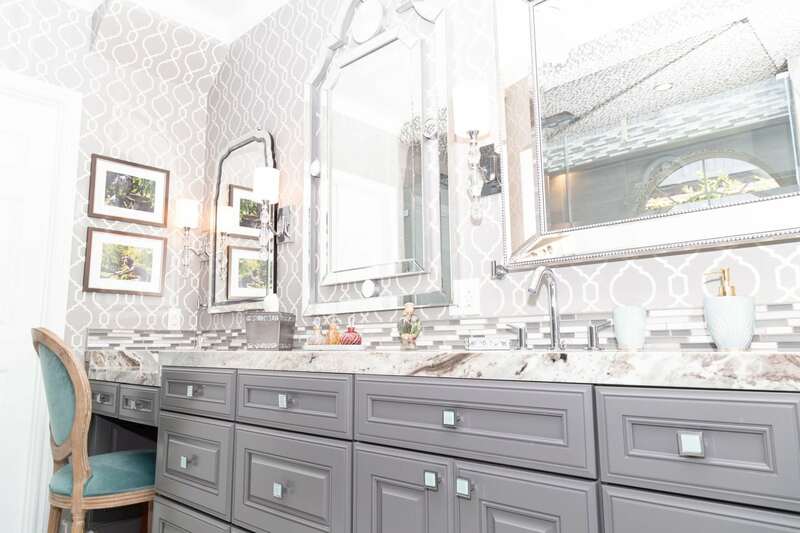 With the plan of optimizing the space, we gave ample room to the vanity and the shower to allow them to include all the requested features from the homeowner. 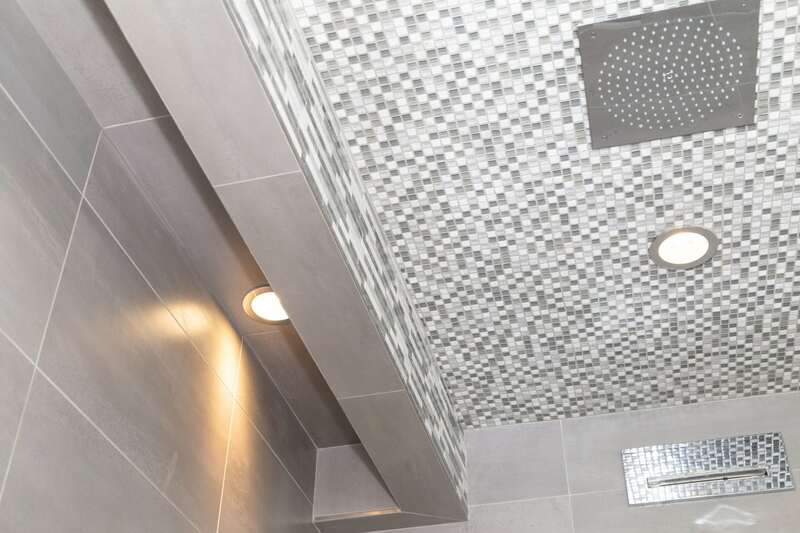 To create an inspiring and elegant atmosphere the combination of selected colors, textures and materials played a key role. 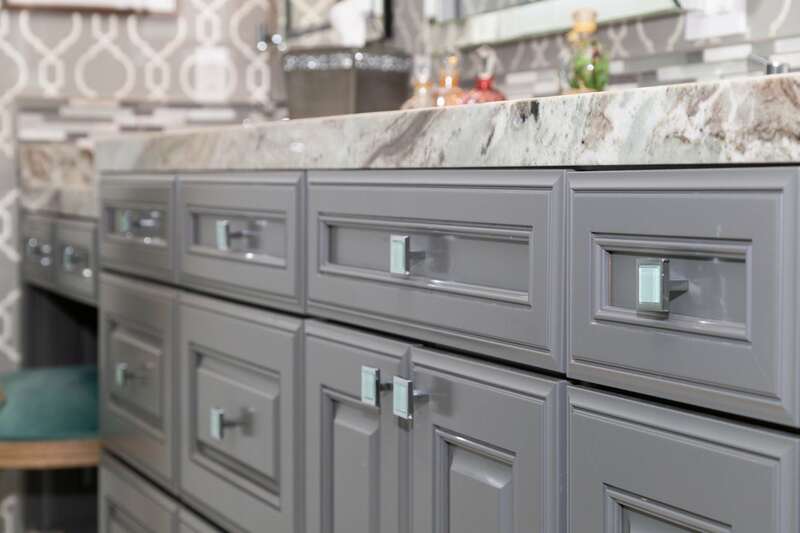 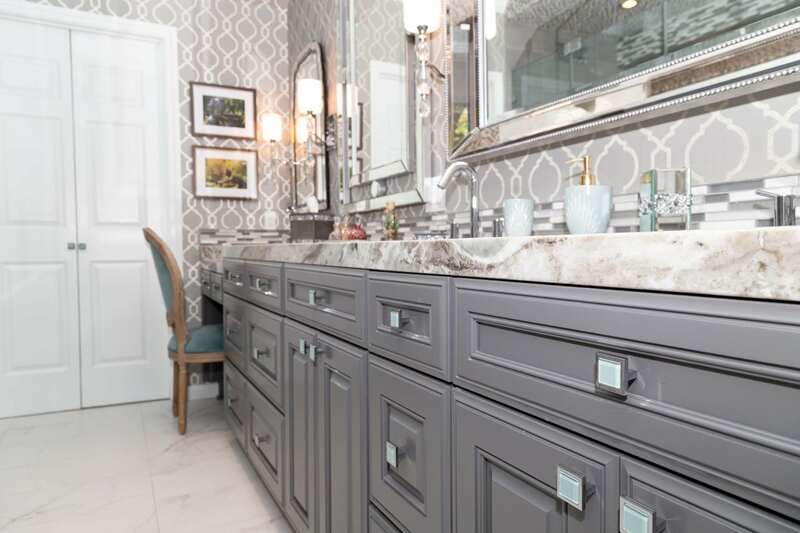 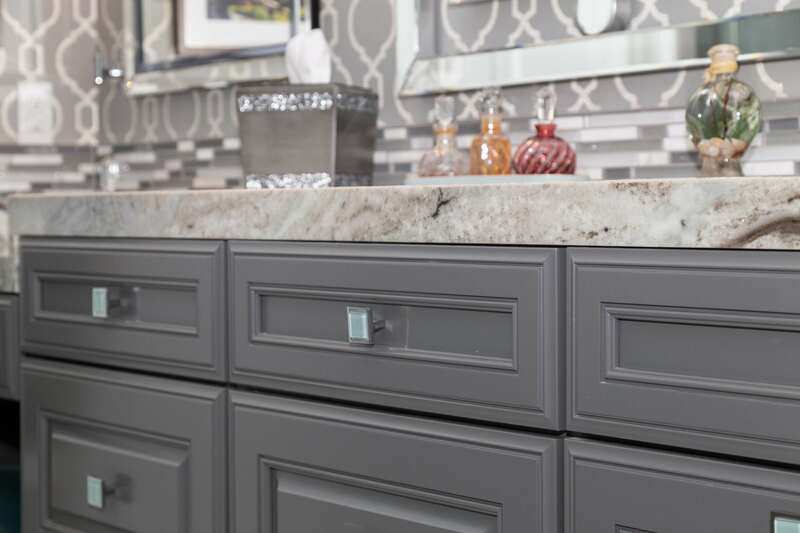 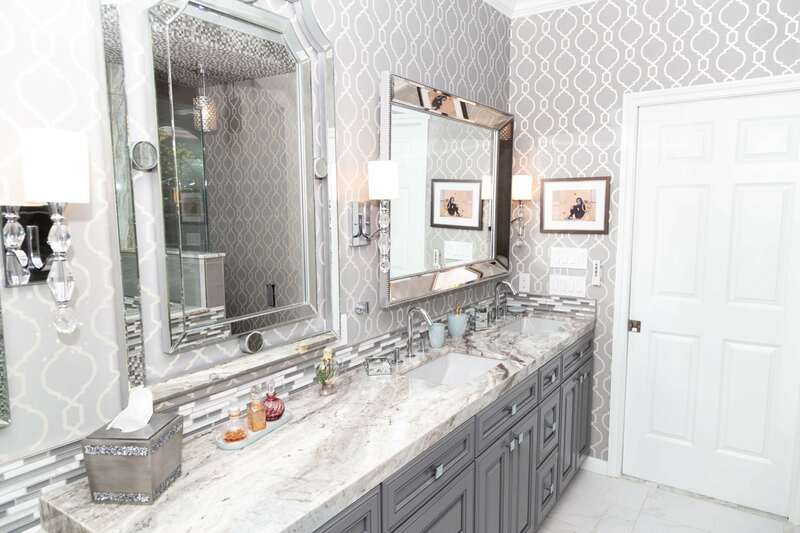 The Master Bathroom was given elegance by the unique look of the gray toned Marble countertops, combined with the sophistication and detailed finish of the bathroom cabinets, and the neutral gray paint used to finish the raised-cabinets. 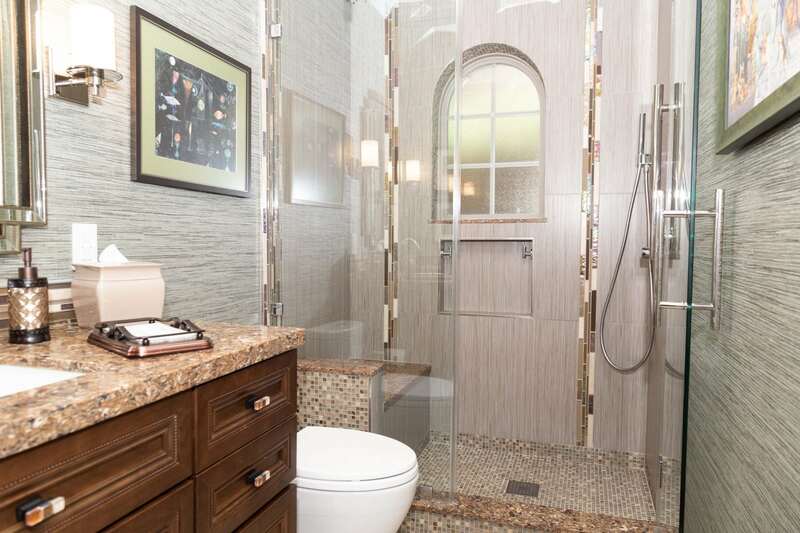 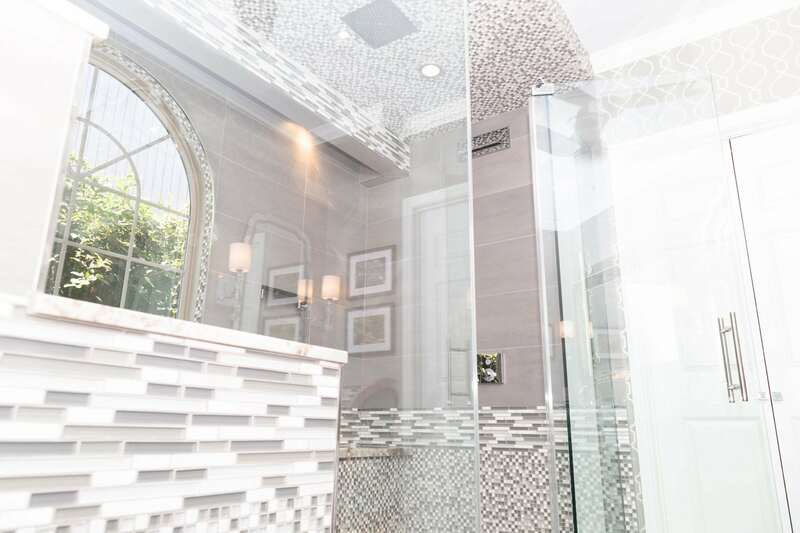 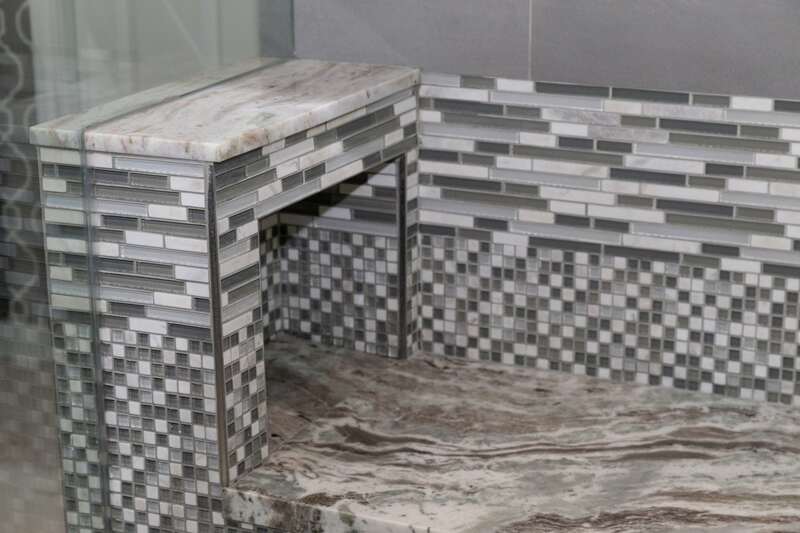 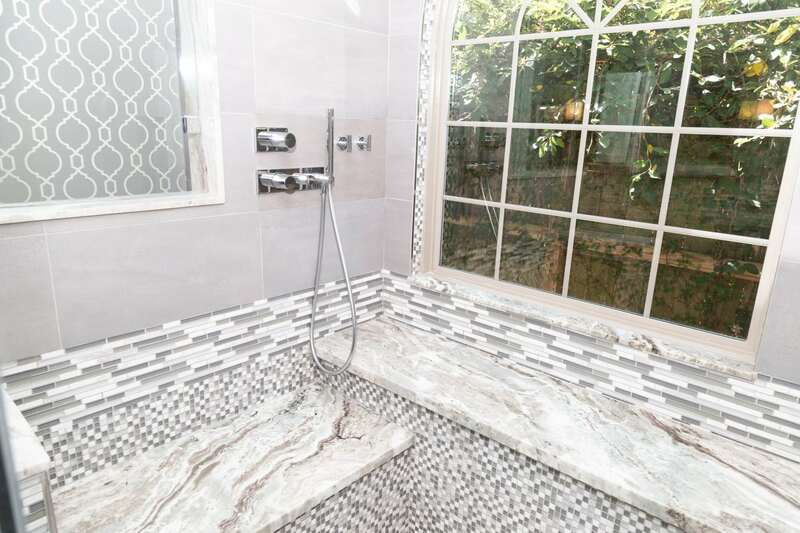 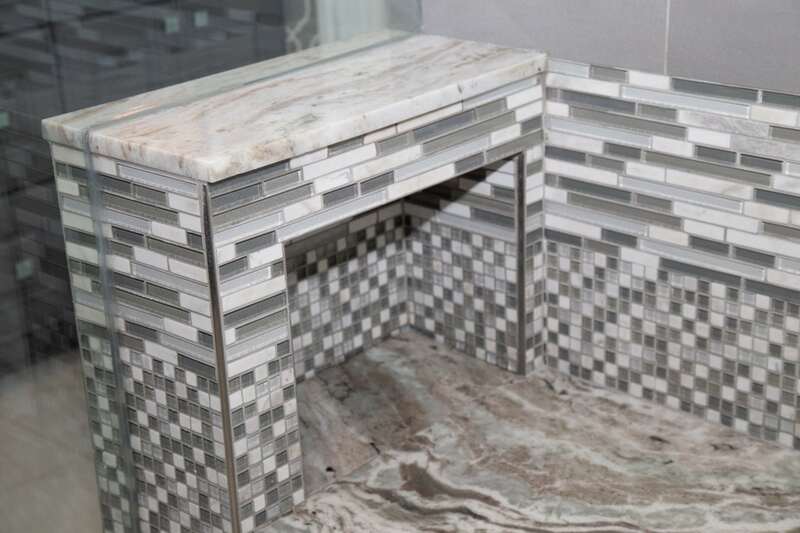 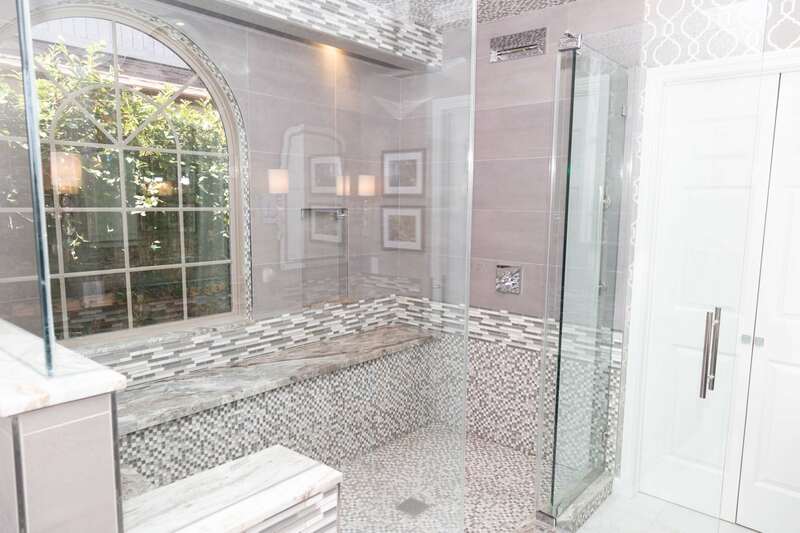 The shower enclosure presents a double shower with two Marble benches and four shower fixtures with hinged door. 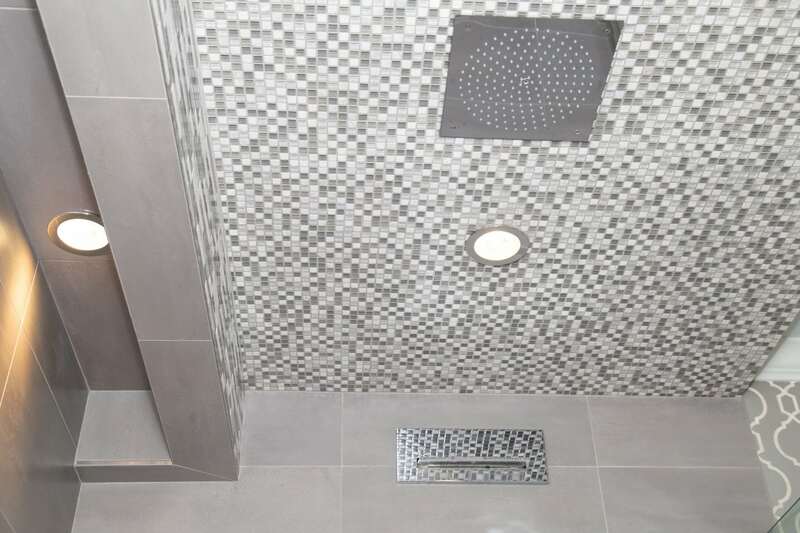 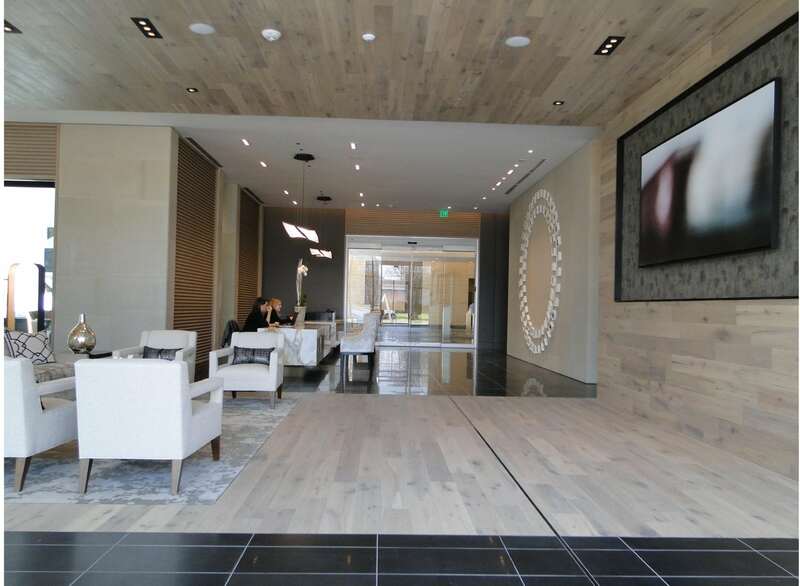 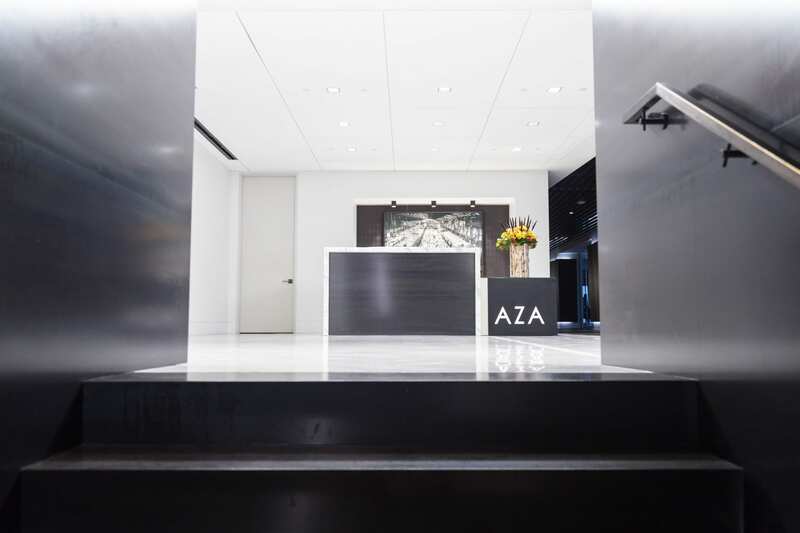 To see this project on Houzz click here.